Historically I think we owe this pattern of development to a degree to the Federal Transit Administration. They used to grade New Starts applications on a metric called TSUB (Transportation System User Benefit) which was essentially a score for how many people you move how far, how quickly. In that formula, boarding a lot of riders from park & rides probably gave you a boost in a score, at least in the early years of operation of your corridor (before TOD built out). What Makes a Friendly Street? Research to date has focused on either large-scale areal measures like “miles of bike lane nearby” or else has considered only shortest path routes. Neither method is suited to capturing the impact of targeted route-level policies like neighborhood greenways. This session will present a new technique for measuring bike and walk accessibility along the most likely route for a given trip. The method is applied to travel data, and results provide new insight into the relationship between route quality and travel mode choice. Breaking news: ATU Local 757 has ratified the tentative contract agreement; TriMet’s operators are now operating under a contract (excluding those retroactively imposed by OLRB) for the first time in, seemingly, forever. The deal is retroactive to November 2012, and expires in November 2016. The deal will produce savings for the agency of $50M compared to the current collective bargaining agreement; don’t know how it compares to TriMet’s earlier proposals. Terms of the deal have not been announced, but multiple sources are reporting that a tentative deal between TriMet and it’s operators’ union, the Amalgamated Transit Union Local 757, has been struck. Reporting from Joseph Rose at the Oregonian. I have not seen any official release or announcement from the ATU; will update this post if I find one. Terms of the deal, which must be approved by both the TriMet board and the ATU rank and file, have not been disclosed. After years of acrimony, and bickering over pointless things (on both sides), it’s nice to see a deal struck rather than imposed in arbitration (assuming this gets ratified). Better employee relations make for better service, if nothing else. TriMet and the Amalgamated Transit Union, Local 757 have reached a tentative labor agreement on a new contract. The parties reached this agreement after 45 sessions with the assistance of State Conciliator Janet Gillman. The agreement sets the terms of a new Collective Bargaining Agreement for four years through November 30, 2016. Additionally it resolves two cases pending before the State Court of Appeals as well as cases pending at the State Employment Relations Board. The agreement is subject to ratification by both the TriMet Board of Directors and the membership of the ATU. The parties bargaining teams will be recommending the details of this agreement soon with their Board and membership. Update 2: Someone ATU President Bruce Hansen appears to have postedleaked the contract terms to a Twitter account. Update 3: The authenticity of the Twitter account @BruceHansen11 appears to be in question; indeed, given that the terms of the contract are supposed to be confidential, a leak from ATU management would be unlikely. A certain former bus driver (and former PT contributor) is not happy with the deal, and appears to believed that the leaked terms are genuine. No, I’m not talking about travel speeds. As Portland currently has no BRT, there’s nothing to make faster (other than existing local bus service, over which any decent BRT would be an improvement). Instead, I’m talking about rolling out BRT faster. 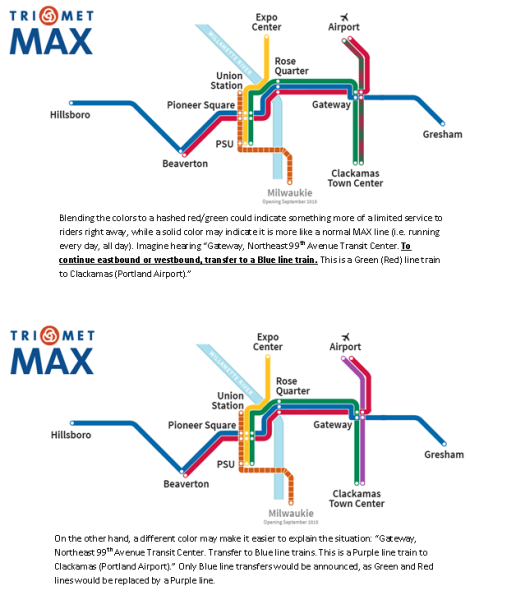 Right now, Portland has two BRT (or potential BRT) projects that have advanced passed the line-on-a-map-in-a-planning-document phase: The Southwest Corridor, and the Powell/Division project. (There’s also the Fourth Plain BRT in Vancouver, being planned and built by C-TRAN). A few other ideas have been discussed in significant detail; probably the most prominent of these a proposed BRT line along TV Highway between Beaverton and Forest Grove (or at least Hillsboro). TV Highway has been the subject of a corridor study which included BRT as a recommendation (and it’s been on numerous planning maps since), but there is no project to actually build out BRT in the 57 corridor. Powell/Division’s project timeline calls for it to begin service in 2020. A firm timeline for the SWC doesn’t exist yet–the start of the DEIS phase has been delayed–but given the scope of the project, we’re looking probably at a decade or more before service opens. Major capital projects, particularly those that seek Federal funding, simply have long lead times. 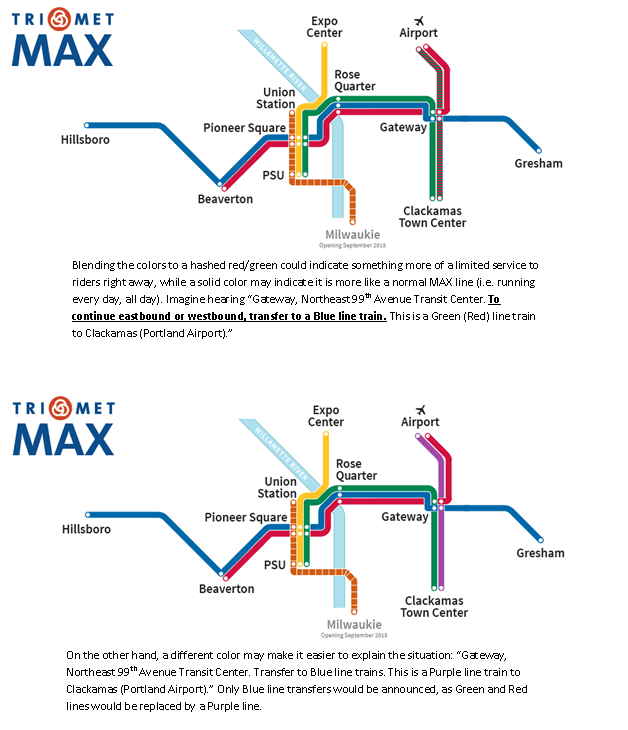 But Portland transit riders can benefit from improved bus service today. (Improved rail service as well, but this article is focused on the bus system). There’s probably not much to be done about big capital projects–the politics and red tape involved is not likely to go away. But are there ways to bring BRT on board without large capital outlays?